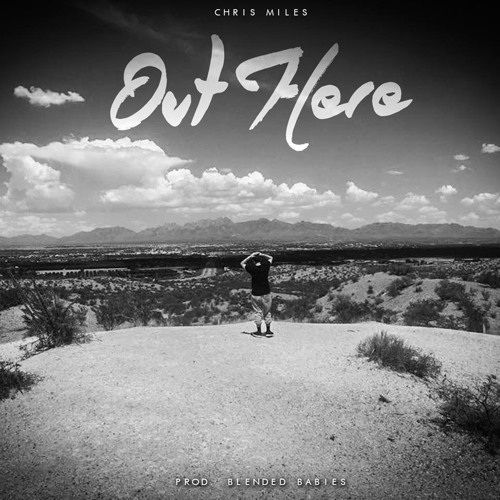 Teen-aged Long Island rapper Chris Miles joins forces with Los Angeles via Chicago producers Blended Babies, whose credits include Chance the Rapper, Asher Roth, and King Chip, for “Out Here,” a trunk-knocking track comparing his hometown to life on the West Coast. “Led by some unconventional vocal samples, the track is mid tempo and fairly minimal, letting Miles carry most of it on his own,” HotNewHipHop explained in their post of the single. The track is led by Miles’ tenacious verses, which each flip through several flows before slowing down for the track’s easy-going chorus. “Life is so different when you’re out here on the West,” Miles raps on the hook. Having linked with the Blended Babies in Cali for the track, “Out Here” releases in anticipation of a yet to be titled project from Miles that’ll be dropping later this year. Chris Miles has been on his nationwide Pop Nation Tour this month, spanning much of the South and Northeast as he continues through late August hitting the Midwest and West Coast. Earlier this year, Miles opened for select dates of Iamsu! and Dizzy Wright’s respective tours. “Out Here” follows the visuals to his Birth Of Cool EP single “Something,” which premiered via GoodMusicAllDay, who stated, “what is most impressive about Miles is the maturity in his voice and his ability to craft clever metaphors at such a young age… Miles is certainly on the right route to becoming a star in the music biz. It’s dope to see an artist this early in his career with so much promise.” At the young age of 10 years old, Miles began to write and record raps in his bedroom that were inspired by his struggles with being bullied in school. Since then, he’s built up his fan base by releasing viral music videos along with two full length, all original mixtapes. The MC, one of the youngest artists to sign a major publishing deal with Warner/Chappell, is known for displaying a level of lyricism beyond his years as he’s been praised by the likes of Mac Miller, 50 Cent, Hit Boy, Tony Yayo, and more. Contact Michelle or Rory if interested in talking with Chris Miles. Chris Miles is a 16 year-old rap artist and songwriter from Long Island, New York. At the young age of 10 years old, Miles began to write and record raps in his bedroom that were inspired by his struggles with being bullied in school. After a few years of honing his skills and using rap as a coping method, he decided to start posting videos of himself rapping on YouTube, which is where he was discovered by T3 Music Group. After a few short weeks of working with T3, one of Miles’ videos managed to get posted by World Star Hip Hop where it garnered over 1.3 million views in just three days. This instantly caught the eye of many figures in the industry and Miles was immediately looked at as one of the next big things in music. Over the past two years, T3 and Miles have worked to build a fan base by releasing countless viral and original music videos along with two full length, all original mixtapes. Today, Miles is currently performing shows throughout the tri-state area after the release of his first EP, Birth of Cool.